QBurst participated in Oracle Digital Technical Enablement Program for Partners in Bangalore on August 10-11, 2017. Paul Ukken, who leads our Oracle Practice, and Deen Edger, a member of the business team, represented QBurst. The partner enablement workshop covered key topics related to Oracle’s powerful suite of Cloud applications, particularly Oracle Human Capital Management (HCM) Cloud, Oracle CX Cloud (Sales and Service), and Oracle Mobile Services. The participants were introduced to the improved functionalities in Oracle Cloud Applications Release 13, which would enrich human capital management, finance, and customer experience. As an Oracle Gold Partner, QBurst has been offering expert consultation, implementation, and maintenance services in Oracle HCM Cloud, Oracle CX, and Oracle Mobile Platform for its enterprise clients. 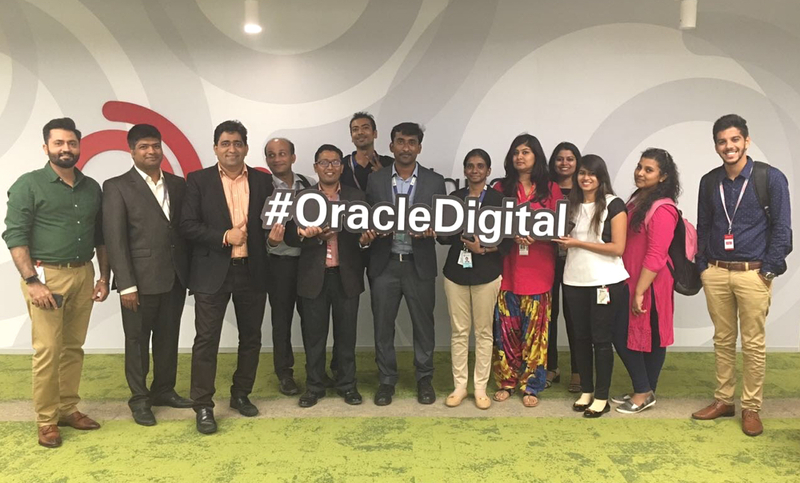 Participating in the Oracle Digital workshop and seminar helped our team further sharpen their domain knowledge and technical expertise in diverse Oracle Cloud Services. Delegates at Oracle Digital, the Technical Enablement Program for Partners.